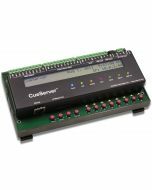 CueServer 2 DIN (CS-940) is housed in an enclosure suitable for DIN rail, surface, or panel mounting. The DIN rail brackets accommodate standard 35mm rail. Mounting flanges are included for surface or panel mounting. 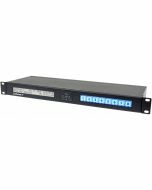 Connections for power, DMX, contact closures, and digital outputs are made using removable terminal blocks across the top edge of the unit. 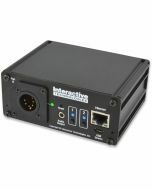 Ethernet, USB, and stereo audio are connected along the bottom edge. 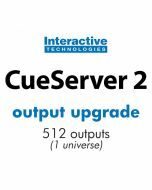 CueServer 2 DIN's front panel has eight customizable function buttons. Each button has a fully controllable RGB indicator. 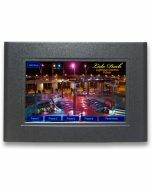 A navigation joystick is used to operate the onboard LCD menu for basic system settings, show selection, and macro execution.